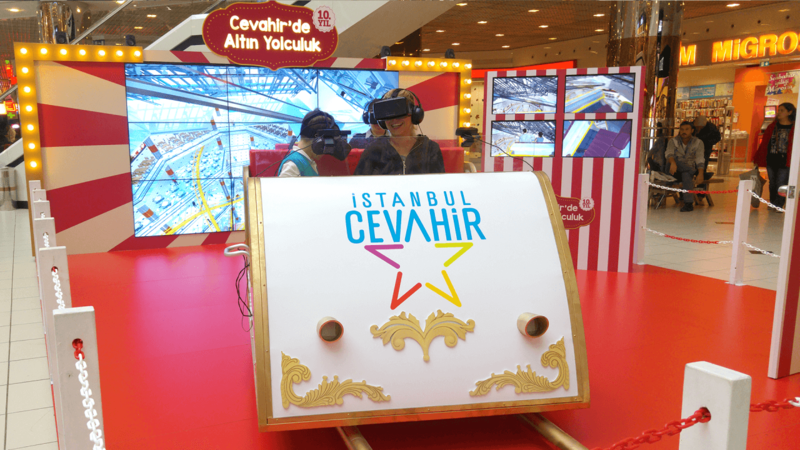 To celebrate the 10-year anniversary of the Cevahir Shopping Mall, we combined VR technology with real roller coaster seating to deliver an unforgettable, exhilarating experience! As one of the largest shopping malls in Turkey, Cevahir AVM wanted to do something special for their 10-year anniversary. Unable to build a real adventure ride in the mall, they turned to Codemodeon to use our incredible VR technology to take guests on the most realistic ride of their lives. We created an exact virtual replica of the mall using architectural design, then placed a world-class roller coaster inside. Next, we made a colorful stand in the mall that looks exactly like a roller coaster train. At any one time, four people could use the high-end VR headsets and sit in the seats for a thrilling roller coaster ride. We also attached small cameras into the front of the car, so all the enjoyment of the virtual ride could be captured in photos, which could then be printed or shared online. Available for a month, anybody that spent a certain amount of money in the mall was eligible for a free ticket for the ride. 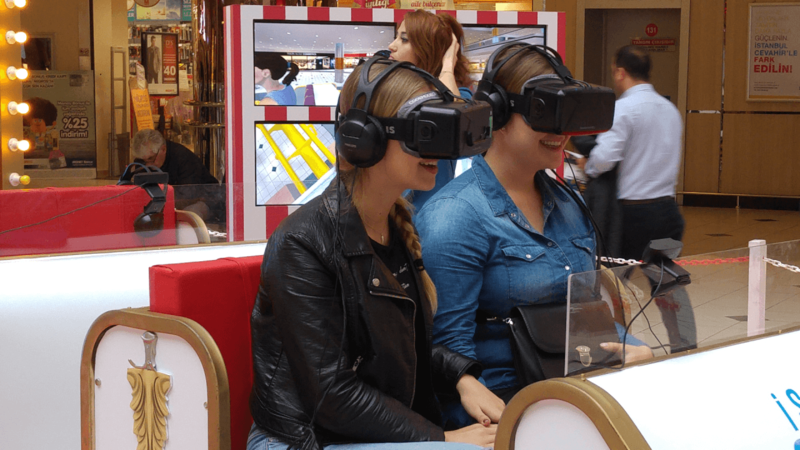 In total, over 10,000 guests got to enjoy the amazing experience, giving them a lifelong memory while maximizing customer engagement at the mall!